Link I'll never drink again Vol. 2: Hey it's not a deer but it's the only pic I could find on short notice of an animal. 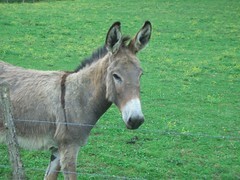 I don't eat mule either. The Old and the New....Me That Is. I think this is funny. I really do want to quit. Hey it's not a deer but it's the only pic I could find on short notice of an animal. I don't eat mule either. Originally uploaded by Simon Buckle.